Mumbai: Mahatma Gandhiji was not just the biggest leader of Indian independence movement but also a face of it to the rest of the world. His philosophy of non-violence is still being preached all over the world. Many filmmakers have captured the greatness of this incredible soul on the celluloid. The complex and layered personality of Gandhiji is seen as a great deal for any artist to portray. On the occasion of Mahatma Gandhi Jayanti (also International Day of Non-Violence), we share a list of five actors who took the challenge of playing his character and pulled it off with great conviction. 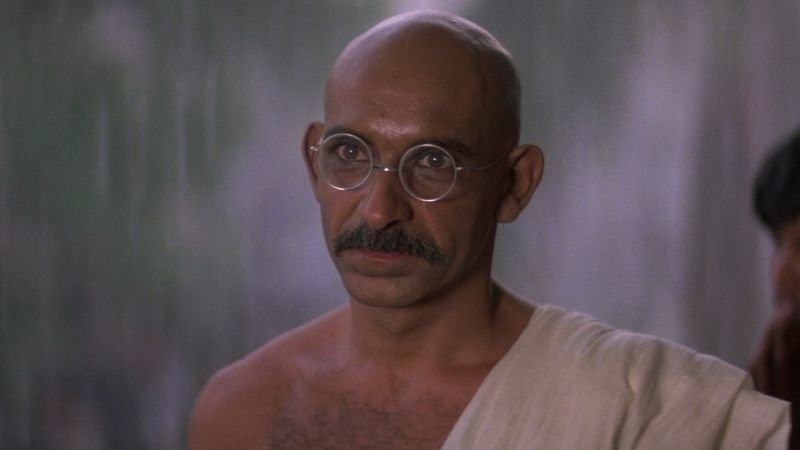 Sir Ben Kingsley in Gandhi (1982): Gandhi was a dream project of iconic British filmmaker Richard Attenborough. This film made a little known Indian-origin British actor Ben Kingsley one of the renowned actors in the world. 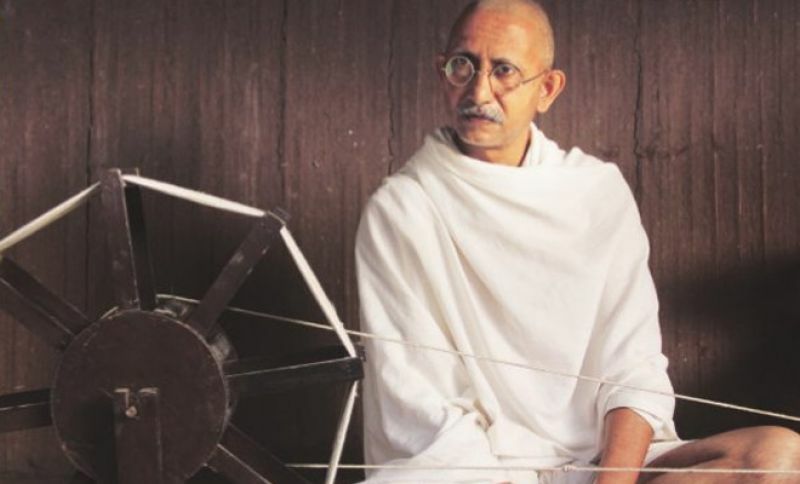 Various actors were considered over the years for the all-important title role, but the actor who was finally chosen, Ben Kingsley, made the role so completely his own that there is a genuine feeling that the spirit of Gandhi is on the screen. Kingsley’s performance is powerful without being loud or histrionic; he is almost always quiet, observant, and soft-spoken on the screen, and yet his performance comes across with such might that we realize, afterward, that the sheer moral force of Gandhi must have been behind the words. 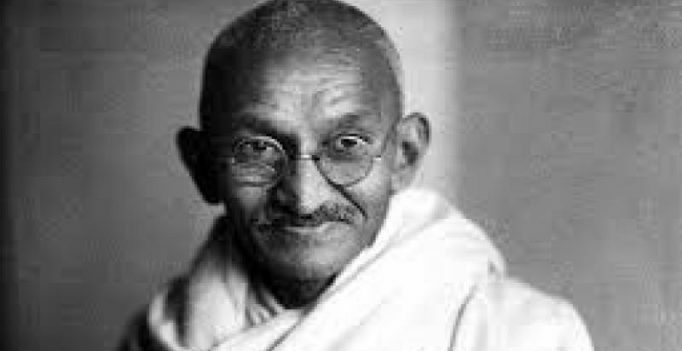 Gandhi was first serious project attempted on the great man. The film along with Kingsley’s terrific performance won many accolades that year. Dilip Prabhavalkar in Lage Raho Munna Bhai (2006): This Rajkumar Hirani directed film made Gandhiji’s philosophy and values palatable to everyone, especially, youngsters. This film termed the teachings of Gandhiji’s as Gandhigiri which became immensely popular. Dilip Prabhavalkar as Gandhiji, who appears as the result of hallucinations to the lead actor, played the part with a great charm. Naseeruddin Shah in Hey Ram (2000): Hey Ram starred Haasan and Shah Rukh Khan, two of the biggest superstars in Indian cinema. A remarkable actor, Naseeruddin Shah portrayed Gandhi and it was an amazing performance. He portrayed all the required nuances of the character with great poise and ease. The title of the film derives from the words spoken by Mahatma Gandhi in his dying moments. Neeraj Kabi in Viceroy’s House (2017): Gurinder Chaddha directed Viceroy’s Hopuse which was based on parition of India, Neeraj Kabi played a rather small but important appearnce as Gandhiji. The actor was fantastic as Mahatama. His body language, voice and overall look were uncannily similar to Gandhiji, which is enough to say how outstanding Kabi was in the film. 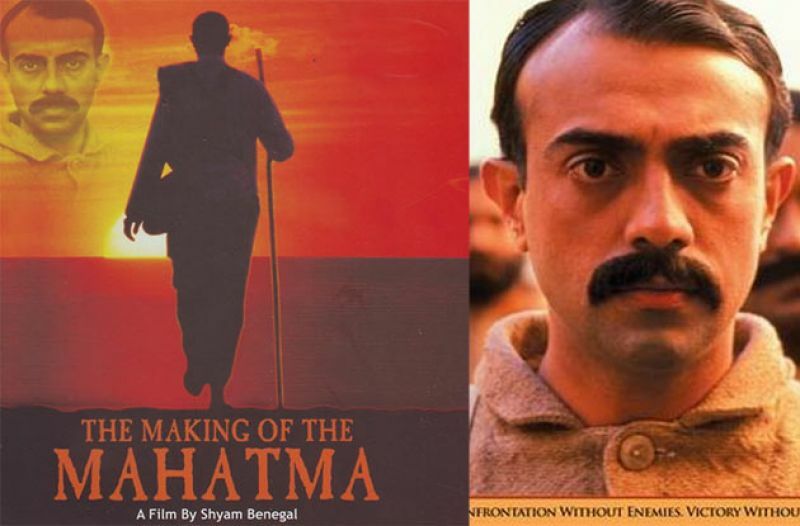 Rajit Kapur in The Making of the Mahatma (1996): In this Shyam Benegal film, the narrative is based on Mahatma Gandhi’s time in South Africa where he had a practice as a barrister. The time was before he came to India and joined the Independence movement. 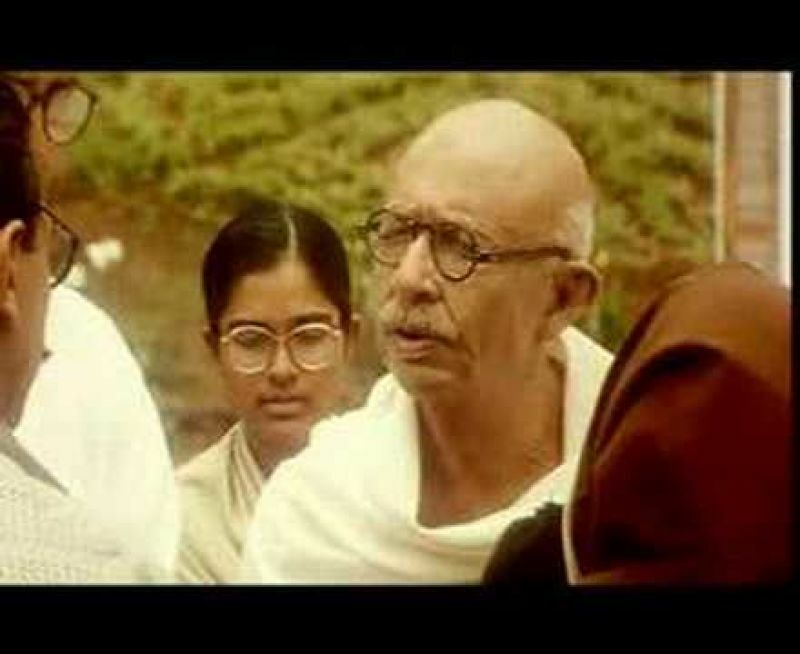 Rajit Kapur, better known as the original Byomkesh Bakshi, starred as Gandhi in this movie and bagged a National Award for his exceptional performance. The film also won the National Award for Best Feature Film in English.